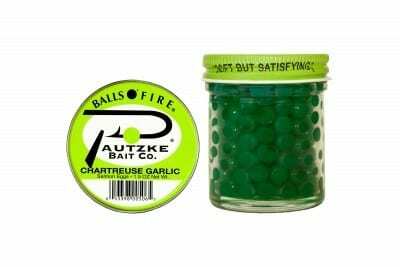 Ideal for small streams, brooks, spring creeks and all low and clear water conditions, Tyee® is the smallest and least expensive egg in the Balls O’ Fire® line, yet packs a mighty punch. Significantly smaller than Premium® and an undersize Green Label® egg, the Tyee® is designed to pluck into tight spaces, behind small boulders, in pockets and under overhanging banks. 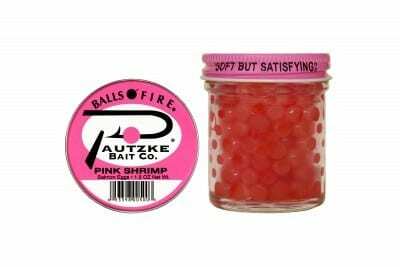 These eggs can be used in any angling conditions, but are most effective when fished on two-pound monofilament line and a single salmon egg hook. Traditionally, smaller eggs are found in the US and Canada’s wilderness, high country and backcountry areas. Arriving with a jar of Tyee® eggs is the perfect way to match the hatch in spring and fall when browns, rainbows, cutthroat, golden and brook trout can be spawning. Drifting a single Tyee® egg under a float near inlets and outlets and pitching them in high country streams and creeks is a dynamite way to convince trout to bite. These highly visible eggs mimic trout eggs in high mountain areas where you traditionally don’t find large trout.